East Meadow, NY - April 29th, 2015 - Third Squad detectives report the arrest of a Hempstead man for public lewdness and false personation which occurred in East Meadow on Tuesday, 04/28/15 at 2:55 P.M. According to detectives, a female victim, 56, observed defendant Stephen Pittman, 25, of Lincoln Ave. in Roosevelt, walking northbound on Carman Ave., exposing himself. 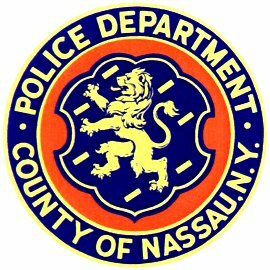 The victim notified a Nassau County correction officer, in the area, who then detained the defendant until police arrival. During detectives’ preliminary investigation, the defendant provided a false name. Pittman is being charged with Public Lewdness and False Personation. He was released on a Desk Appearance Ticket returnable to First District Court, Hempstead on Tuesday, 05/12/15. Subject: LongIsland.com - Your Name sent you Article details of "East Meadow Man Arrested for Public Lewdness"